TWO of three CSIRO employees who blew the whistle on alleged ”criminal or civil breaches of the law” by the scientific organisation were later made redundant, it has been revealed. But those officials who were the subject of the complaints remain employed, the CSIRO has confirmed. The details have emerged after a group of former CSIRO employees began a campaign for a change in culture at the science agency, alleging mismanagement and bullying are rife. Last Thursday, a parliamentary inquiry examining workplace bullying in Commonwealth agencies published the group’s submission. It claims the group is aware of 60 cases involving top-flight scientists and other officials who were bullied or otherwise forced out of the organisation. 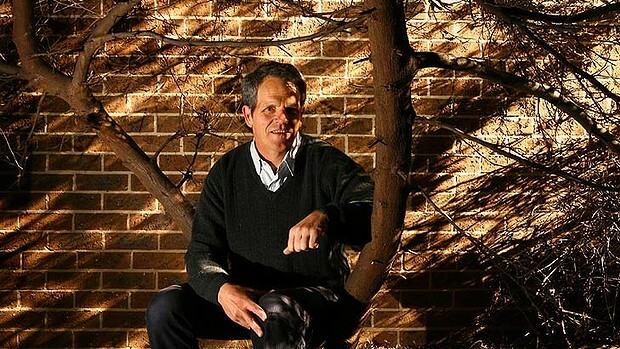 This list has names on it such as Maarten Stapper, a soil scientist allegedly pushed out because of his criticism of genetically modified crops, globally recognised oceanographer Trevor McDougall, and award-winning entomologist Sylwester Chyb, who has begun litigation against the CSIRO for misleading conduct and unlawful termination. The CSIRO has declined to respond to the allegations, but the group says some of those forced out had tried to report misconduct or maladministration. Among the group’s recommendations is improved protection for whistleblowers. The organisation is also grappling with a spike in the damages it has had to pay as a result of occupational health and safety claims made to the Commonwealth OH&S regulator and insurer, Comcare. The increased costs of the claims has meant that the premiums Comcare charges the CSIRO have nearly tripled from $1.9 million in 2011-12 to $4.9 million this financial year. ”The CSIRO has consistently achieved lower than average claim frequency and claim cost but has had an upward trend in the average cost of its claims,” a Comcare spokesman, Russ Street, said. 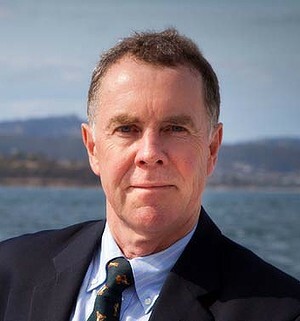 At a budget estimates hearing in May, the Tasmanian senator David Bushby asked the CSIRO about its handling of whistleblower complaints and those who made them. In answers provided last month, the organisation confirmed two complaints were lodged in 2010 and one in 2008, all of which made serious allegations about unlawful activity. But while the CSIRO did not retrench any of those against whom allegations were made, it did retrench the complainants. ”One CSIRO employee, who had lodged a whistleblower complaint on March 10, 2008, was made redundant on August 23, 2010, as there was an insufficient volume of current and projected work to sustain the position,” the CSIRO said. A CSIRO spokesman, Huw Morgan, declined to describe the nature of the allegations made by the whistleblowers, saying it could help reveal their identities. It is listed as Submission 169. A number of other publications from former employees have also been published. See if you can identify who they are! This following piece of creative writing was provided to us here at the Victims of CSIRO website by a considerate visitor. I am not so sure about the “creative” aspect of the writing as it almost reads like a factual account. Never give explanations for your decisions and habitually discourage subordinates for asking for reasons – this will train your subordinates into accepting unjust decisions. Make rules, preferably ones that are contradictory. Put them into policy. Enforce them arbitrarily. Enforce most boundaries with enthusiasm, but make it clear that you will gladly generously bend the rules for subordinates who curry your favour. Insist on confidentiality at random for the most trivial to the most controversial items of information. You will train your subordinates to self-police, and they will tend to err on the side of conservatism in order to avoid the hassle. Discourage complaints by isolating and belittling the complainant. Tell bullees that no-one else has raised concerns. If they merely raise concerns, criticise their negativity. If they propose a solution, suggest that they should be focusing more on their other work rather than wasting time thinking about solutions. If they have information from others to support their proposed solution, criticise their disloyalty by airing dirty linen with others. Always ask for feedback, and make a great display of taking on board suggestions regarding trivial matters. For significant decisions, insist subordinates provide great detail with their suggestions (“in order to address all possible aspects”), and then ignore them. They will soon learn that it is a waste of time to provide feedback, and then you will not only be able to make decisions without interference, you will be able to correctly point out that they endorsed all of your decisions by not providing feedback when requested. Pick on the most vulnerable first – this will enhance your reputation with the next less vulnerable for a no-nonsense interaction style. Pick your targets selectively, you need to keep them isolated. Treat MOST people well – that way, when your bullees complain, no-one will believe them, or others will try to convince them that their emotional responses to you are inappropriately based on misunderstanding. Those who give comfort and support to bullees are like those who give comfort to terrorists. Distract them, warn them away, or punish them as necessary. If you are particularly skilled, you can even discourage your bullees’ colleagues from informing them of the existence of even the official ineffective channels of complaint. Feign offence, hurt, or anger randomly. Keep your bullees on their toes. If your bullees don’t respond to passive aggressive behaviour, make vague accusations of wrongdoing, and don’t be specific. Keep your bullees guessing what THEY are supposed to have done “wrong”. Don’t make your threats specific either – keep your victims assuming the worst possible. If any complaints about your behaviour are raised, try to behave reasonably by at least understanding the substance of the complaint. However, the most important thing is to discover the IDENTITY of the complainant, in order to know who should have their credibility undermined and be punished for causing a disruption. You will achieve the greatest effect for least effort if you bully while the bullee is already stressed. As much as possible, ensure that whatever you say to bullees has a benign interpretation as well as a threatening one – this will confuse them and they may start to doubt their own judgement. Smile mysteriously when talking to bullees. Later you will be able to claim that you were joking. Never acknowledge your bullee’s emotional distress. Later you will be able to pretend you were completely unaware. Whatever means your victim uses to resolve conflict, criticise their choice of process. For example, if they raise the issue formally or put it in writing, berate them for making more of the issue that it is and not trying to resolve it privately first. If the bullee tries to resolve the issue verbally or informally, dismiss it as being obviously too unimportant to raise formally. Give your bullees the impression that your colleagues either encourage, or tacitly condone, your behaviour – or at the very minimum, do not want to get involved. Imply that your political friends will be the one’s investigating any complaints. WARNING – BE CAREFUL THAT YOUR BULLYING does not become habitual. DO NOT treat your superiors in the hierarchy the same way you treat your bullees. On the contrary, treat them with charm and deference. Never, ever put anything in writing – even email. It makes it far easier to claim misinterpretation, or even better, plausible deniability of knowledge of the matter completely. Save your most intimidating behaviour for in private – you don’t want witnesses, or people who might support the bullee in private. Undermine your bullee’s credibility by hinting, or stating, that they are poor performers, not team players, or troublemakers. Ensure that your political friends investigate any complaints about bullying. Failing that, ensure investigators that insist on the highest possible standards of proof before accepting any facts. Because you have never put anything in writing, or have witnesses for your behaviour, you can always claim that you were misunderstood. Grievance procedures are your friend. Note that the existence of slow, drawn out, grievance procedures are more effective protection for bullying than having no procedure at all. Not only will they ensure that any complaints remain confidential, you can then also give the impression to bullees that everyone involved in the process is your political ally. Because you have kept them isolated, they will believe you. While your bullees are mired in process, punish them for causing you trouble. Even better, have them made redundant. This will enhance your reputation with your subordinates as a no-nonsense manager. Confidential grievance processes are excellent for this, since you can imply that you have gotten away with something unspeakable. Without information to the contrary, your subordinates will fear the worst, but also will have no evidence on which to base a formal complaint, or in fact even to discuss with others for support without sounding like paranoid conspiracy theorists. And remember – No-one likes a bullee – they are pathetic, spineless weaklings; and/or insubordinate, uppity, conniving, troublemakers. Most other people are unlikely to get involved – it’s human nature (the bystander effect). Just in case there are any doubts about CSIRO’s performance as an employer concerned about the Health & Safety of its employees, here are some statistics that make for some interesting reading. Over the past 4 years, CSIRO’s health insurance premium has jumped from $1.71 million p.a. to $4.95 million p.a. (an increase of $3.24 million). CSIRO’s rebate for effective management of workplace health and safety issues has gone from a bonus of $324K to penalties totalling $844K. The number of injuries has risen over the same period that staff numbers have decreased as a result of CSIRO’s “efficiency” initatives, including those of its Health, Safety and Environment (HSE) function! Is CSIRO CEO, Dr Clark’s much lauded “Zero Harm” policy all that it is cracked up to be? Obviously not! Data relating to CSIRO annual premiums payable to Comcare and bonuses/penalties for FY 09/10 to FY 12/13.